Working from home vs. working from an office - what’s best for your expenses? When it comes to working for yourself, you have a few choices on where to make your living. One of the most important decisions you will make is the location of your office - do you work from home, get a dedicated office, share a coworking space, or do something else? We’ll explore the various options you have open to you and what it means for your expenses, accounting, and taxes. Work from home - have a dedicated room in your home that you use for work. Private office space - rent space in an office building that you use exclusively for work. Use a coworking space - take advantage of a coworking space where you can rent a desk on a day-to-day basis and share the overall space with other entrepreneurs and workers. Work from a coffee shop or other space - have a temporary "office" that travels as you do. We’ll explore each of these in turn. This is one of the most popular options for an office, providing you have a spare room. You can turn it into a dedicated office and write off some of the cost against your accounts and tax. What you can claim for depends on whether you are a company director of a limited business, an employee, or a sole trader. For the sake of simplicity, we’ll assume that you are a company director of a limited business. HMRC currently allows a flat rate of £4 per week (plus business telephone calls) which can be claimed back from the company without the need for any receipts. For the vast majority of business owners, this is would only cover a very small portion of the expenses that a limited company owner will incur when they use their home as a workplace. Count the total number of rooms in your home (not including bathrooms). Count the number of rooms you use as office space. Calculate the percentage of time you spend using those room(s) for work. For each utility bill, divide the cost by the total number of rooms in your home. Multiply that result by the number of office rooms. Multiply that by the percentage of time that you use the office space for work. As an example, you pay £1,200 in electricity a year, have six rooms in your home, and you use one as an office for 80% of the time. In this scenario, you would be able to expense £1,200 / 6 X 1 x 80% = £160 a year. You can apply this calculation against your regular utility bills. You can write off the cost of any dedicated business phone lines or business broadband facilities. If you are a company director, HMRC does not allow you to deduct expenses for council tax, insurance, mortgage interest, and the like. Interestingly, you may be able to deduct a proportionate amount of these expenses if you’re a sole trader! You will need to provide evidence of what you have spent. You can also expense equipment and other items that you have purchased solely for business use - for example, a chair and desk, computer, printer, and other office stationery and sundries. Repairs made to the external structure of your home may also be expensable as a percentage based on business use. Repairs and maintenance to your office room are expensable based on what percentage of the time the room is used for work. Expense all of the cost of renting an office space. Expense any variable costs such as utility bills. Expense your office equipment and furniture, assuming it is purchased by you, but be aware of depreciation. You cannot claim for mileage or travel to your office space. You may choose to rent a desk in a coworking space where you share with others. You can typically rent coworking spaces on a daily, weekly, or monthly basis. Expense all of the cost of your coworking membership and rental costs. Expense any variable costs such as facilities like printing, copying, phone calls, etc. You cannot claim for mileage or travel to your coworking space. You cannot typically expense meals, food, or drink. Some people might want to work from a Starbucks, Costa, or other temporary office space. HMRC does not allow you to expense the cost of your coffee, food, or other subsistence needs. If you are meeting someone else, or entertaining a client, some of those costs may be tax deductible in limited cases. What is the Best Office Option for You? As you can see, there are several factors you’ll need to understand so you can account for your office expenses in the most effective way. 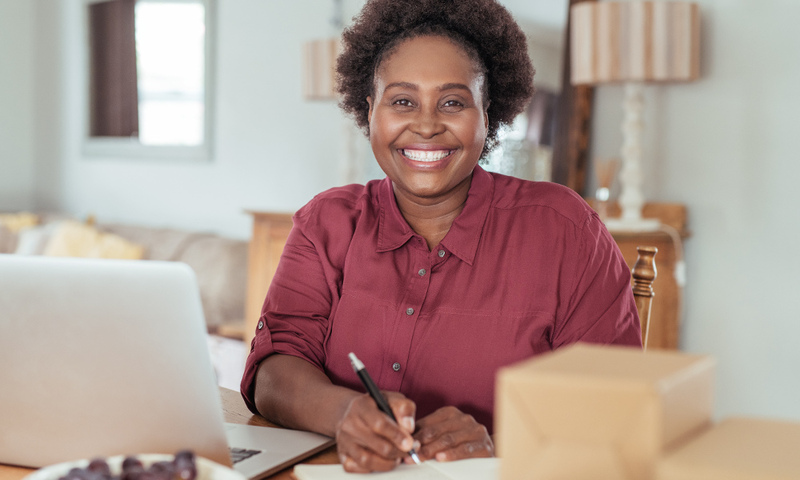 If you work from home, you will need to explore if it’s more advantageous for you to be taxed as a limited company or be a sole trader, since sole traders can generally expense more. Limited companies do have other ways to reduce taxes though, so we recommend you speak to your accountant. The easiest and clearest way to expense your office costs is if you rent a dedicated office or use a coworking space. Although these can be good options, you will need to work out if the ongoing costs of these services are worth it for your business. The cheapest option is the coffee shop scenario, as you will not have to pay any rent or utility bills. Also, bear in mind that you will not be able to claim any other expenses, such as food and drink. Ultimately, you need to choose the right office solution for your unique needs. Whatever approach you choose, AccountsPortal makes it easy to write off any legitimate business expenses against your tax. As always, for dedicated advice on the best office solution for you, and the tax implications, speak to your accountant.